From an early age, Renée Danette Petrola knew she wanted to follow in her mother’s footsteps and become a teacher. Armed with a strong passion for academia and writing and stellar listening and observational skills, the profession was the perfect fit. Ms. Petrola’s path led her to the Mount Sinai School District in Mount Sinai, N.Y., and she spent 43 years as a teacher there. Her responsibilities included teaching four classes in writing and a reading literature program to sixth-grade students, encouraging students to become involved in competitive writing and poetry contests, teaching students to utilize computers, desktop publishing and Smart boards, conducting conferences with three other teachers, ​and consulting with special education teachers. One of the highlights of Ms. Petrola’s career was having two of her students place first in the Walt Whitman Poetry Contest for anthology. She was also proud to be selected to accompany the principal to the District of Columbia to receive a Blue Ribbon Award, which is given to schools cited for exemplary high performance by the U.S. Department of Education. Further, as a member of the local parent-teacher association, she was one of four pioneer teachers to work in an outdoor learning laboratory with fifth-grade students studying the impact of humankind upon the environment. Ms. Petrola considers her greatest achievement, however, to be leaving a lasting legacy for her students. Although Ms. Petrola recently retired from the career she so loved, she has continued to thrive in the pursuit of her other passion, writing. 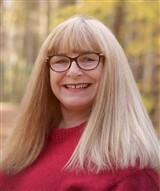 She is the author of three books of poetry, “Women on the Edge of Time,” which was self-published, and “Primitive Dancer,” and “The Healing Tree,” which were published by Book Stand Publishing. “Primitive Dancer” is “a celebration to all who feel the joy when spinning under the sun’s ray and twirling beneath the moonbeams” and “The Healing Tree” is meant to celebrate family and personal growth. Ms. Petrola’s connection to poetry runs deep; she writes, “Through the writing of poetry I am able to recognize my indomitable life-force and pass some of that encouraging energy on to others.” She hopes to continue writing and publishing books moving forward. All three of her collections are available on Amazon.com, Inc., and Barnes and Noble. Ms. Petrola prepared for her endeavors by earning a master’s degree in liberal studies from Stony Brook University in 1974. In an effort to be as current as possible, she also completed continuing education classes, garnering 100 credits past the requirements for a master’s degree. Looking to the future, Ms. Petrola would like to be remembered as a great, a fair and innovative teacher and a real, trustworthy, and unselfish friend who was always interested in listening to others. When Ms. Petrola has spare time, she enjoys designing jewelry, swimming, kayaking, spending time at the beach, biking, running, and rescuing and adopting Irish Setters.